What is Sewing and What is a Sewing Machine? The sewing machine is a piece of equipment that many of us take for granted these days. A sewing machine is something that we have all grown up with, and for many of us it is something that our mothers used to make most of our clothing as youngsters (aside from the gorgeous hand knitted jumpers of course) But do any of us really know who Invented the sewing machine? What the first sewing machine was or when the sewing machine was invented? In this post, we will explore all of these questions and more to find out everything we don’t know about the history of the sewing machine. 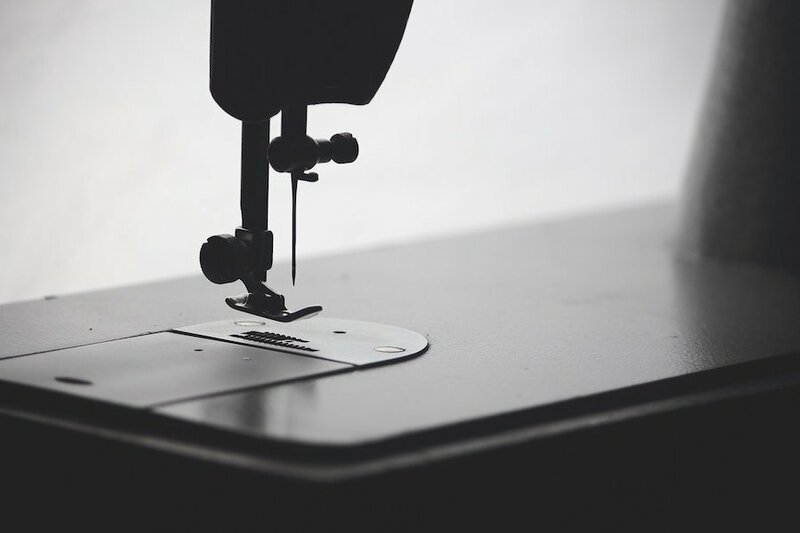 Sewing Machine Cost - How Much Should You Expect To Pay For Your Sewing Machine? Buying a new sewing machine can be a very overwhelming experience. When looking for a new machine it feels like there is an endless amount of machines with an endless amount of features, functions and technical names. But what do you really want to be looking for when buying a new sewing machine? When looking for a new sewing machine there are 10 things you should consider before taking the plunge and spending up large (or small). Price: The most important thing to consider is how much you are looking to spend on a sewing machine. 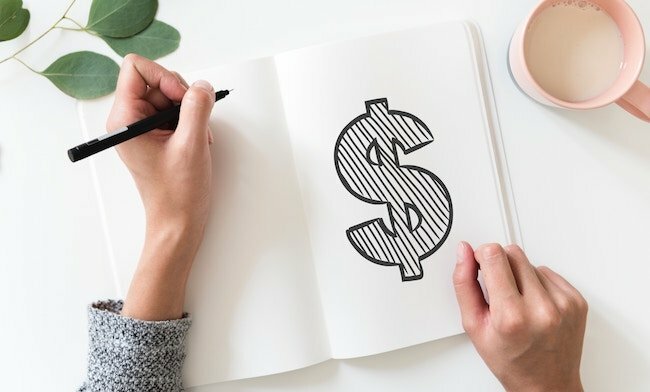 Starting off with a ballpark amount will allow you to steer clear of the more expensive machines that really won’t even be an option for you. Example: Let’s pretend you have a budget of $100. You can go to an online shop or into a sewing machine store, however, the machines that they have on offer at this price point will more than likely not be the right machine for you. It will probably be a cheaply made, plastic machine that will break quickly. For a lower budget, you are much better off looking around for a second hand or ‘pre loved’ sewing machine that has more features, a better construction and will last longer. The Right Amount of Stitches: Once you know how much you are wanting to spend on a machine, you need to have a good long think about what you need. Not what you want, but what you need. What you want and what you need are two very different things, we all want the same thing, but realistically we don’t all need that machine. There are two basic stitches that will get you sewing for a start. That is the straight stitch and a zig zag stitch. You can get machines with hundreds of different stitches, but think about it will you really use all those fancy stitches? Is it worth the extra money for you to buy a machine with all these? Sure they look cool and it is fun to play around with these stitches now and then but using your machine day-to-day you more than likely won’t be wanting to use all these stitches. Adjustable Stitch length: To me, a machine where you can adjust the stitch length is more important than any fancy stitches. 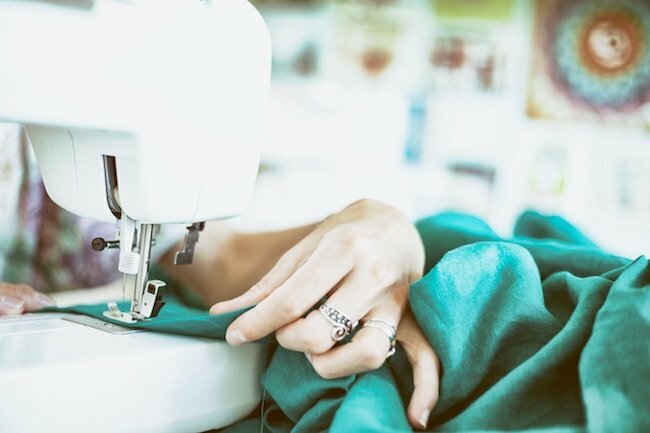 Having the options to adjust the stitch length is exactly what you need when using your machine for sewing different materials, textures and items. More often than not the cheaper machines will not give you this functionality, however, it is possible to find a cheaper machine with this functionality. Attachments/ Additional Parts: Attachments can make or break your machine. Before buying it is important to think exactly what you will be using this machine for. Having the correct foot attachments come with the machine, or having the option to buy additional foot attachments will make your sewing life a whole lot easier, your machine far more versatile and an almost endless list of things you can do with your machine. Motor Size and Machine Construction: When we talk about the motor size we do not mean the actual power that is being produced, we are talking about the physical size of the motor. Is it a tiny wee motor or a large motor? The size of the motor and construction of the machine will drastically change how sturdy the machine is, how long it will last, and how it will handle tougher fabrics. Think about what kind of fabric you will be using and how long you want your machine to last. A lightweight plastic machine is not going to have the same lifespan as a machine constructed out of something more sturdy. It is also good at this point to decide whether you will be storing your machine hidden away in a cupboard or somewhere that you will need to lift it often. Sometimes a heavier machine will be more trouble than it’s worth if you are constantly struggling to. The Make: Everyone has their own personal preference when it comes to machine brands. It all comes down to your own experience with different brands. Personally, I love the old style Singer machines, they were a very solidly built machine that was made to handle anything you could put through them, and they were built to last a lifetime. However, nowadays the majority of their machines are built with lightweight, cheap plastic and the machines don’t seem to last anywhere as long as they did. However, that is my opinion and my experience with the brand. It is important to do your own research and find a brand that you trust. It’s also good to find a brand that holds similar values to yourself. Don’t always just go for the big, well known brands that are just out to make money. How Often Will The Machine Be Used? You need to think about this one honestly. We all have the intention to sew daily/ weekly, however, unfortunately sometimes life gets in the way of us wanting to do what we really want to. Think, will you be using this machine every day? Once a week? Or once a month? Are you going to just be repairing clothes once every few months or making new clothes for your grandkids? A top of the line machine with too many features to list (or even know about) is not going to be worth your time buying if it is going to just sit in your sewing room gathering dust 99% of its life. This is a hard hitting question, however, once you have a better understanding of how much you will use your machine you will find it easier to buy a machine and justify spending what you spend. Your Sewing Expectations: This leads on from the last point, think about what your expectations are or what you want to get out of sewing.Are you going to be sewing to have some ‘me’ time and slowly work on your skills or are you looking to be on the machine every day learning everything you can to become the seamstress all of your friends are envious of? Again this is all about being honest with yourself and becoming familiar with what features and attachments you are going to need. Noise: This may seem like a strange thing to look out for, however, you will thank me for this later. Think about when you will be using your machine the most. Will, you get time through the day or will you only be sewing at night after the kids are in bed and the house is tidy? The last thing you want is the loud machine that keeps the whole household up right? Most shops will let you try before you buy or at the very least have a good idea about how loud the machine is going to be when it runs. Mechanical or Computerised: The age old question. I will elaborate below on the difference between these two styles of sewing machine below for those of you who are not quite familiar. Nowadays most of the high end machine on the market is fully computerized, programmable and have easy to use touch screens. These machines tend to be lighter and even quieter. These are great for transporting and moving around the house. However, if you are a traditionalist or love to get stuck right into your sewing a mechanical machine may be a better option for you. They tend to be a heavier machine, with more basic functions. Perfect for those of you out there who have a dedicated sewing area and are not planning on getting too technical with your sewing. Sewing machines come in a very wide range of prices, from under $100 all the way up to $10,000+. But what are the main differences in the different price groups of sewing machines? I have picked out the above 5 sewing machines because I think they are the best machines for sewers just starting out. I have also put these machines through their paces to give an honest review. These sewing machines range from cheap to expensive and versatile to specialized machines. There should be a sewing machine to suit every budget, skill level and use case. Buying your kids a sewing machine can be one of the most rewarding purchases you will ever make. It's not just buying your kids a toy it's investing in their future. Afterall sewing is more than just a hobby, it's a past time that rewards the user with a life skill that will come in handy throughout life. It was a hard task, but I have picked out the best 5 sewing machines for your kids to learn to sew on. These machines have all been reviewed and put through their paces from a kids perspective. I hope this makes your experience buying your kids sewing machine a little easier! I have picked out top 5 computerized sewing machines and put them through their paces to give an honest review of each machine and demanded what one would be best for you! Check out my thoughts on the best computerized sewing machines and see what one is best for you! Before sewing machines, there was only one option, Sewing by hand. Sewing came many many years before electricity and all the other modern technology we know of today. It is believed that sewing has been around for approximately 20,000 years and can be traced back as far as the last ice age. Ancient needles have been discovered by archaeologists crafted from bone, these bone needles also include an eye hole. These original needles were used to sew together furs and skins used for warmth. The First Sewing Machine – Who Invented The Sewing Machine and When Was The Sewing Machine Invented? Fast forward 1500 years and we find ourselves in the 1790’s. It was then British inventor Thomas Saint invented the first modern sewing machine. His machine was designed to sew canvas and leather, usually to make boots. The machine was very basic and used only a single thread which formed a chain stitch. An awl was used in place of the traditional needle we know today to pierce a hole through the material being sewed. A different mechanism dropped the thread over the hole left by the awl, this was then picked up by a rod similar to a needle with a fork at one end and carried through to the underside of the material. Then a hook caught the thread and placed it forward where the next stitch would be placed. When the cycle was repeated more than one time, a loop would be formed on the underside of the material, forming the ‘chain stitch’. The First Patented Sewing Machine – Who Patented The Sewing Machine? In the mid 1830’s a French tailor by the name of Barthelemy Thimonnier patented the very first practical sewing machine. This machine used a hook tipped needle very similar to an embroidery needle we use today. The needle was forced down via a foot treadle connected by cord and returned to the original position by a spring. Although it was a more efficient machine and easier to use machine it has the same chain stitch method as the earlier machine from Thomas Saint. 1834 is when we were first introduced to the first double thread sewing machine by a man from New York by the name of Walker Hunt. The ‘Yankee mechanical genius’ as he was sometimes referred to as was also the inventor of the safety pin in 1849. Hunts machine used a reciprocating eye pointed needle. This needle worked together with a shuttle which carried the secondary needle which would come together to make an interlocked stitch – much like the modern machines we see today. 1846 was an important year for the sewing machine. This is the year that a woman from Massachusetts by the name of Elias Howe would create a sewing machine that would rival hand sewing. Howes machine featured an eye pointed needle with a groove and shuttle. It was essentially a lock stitch machine that could only sew a straight seam, only as long as the basing plate. Although there was a lot of marketing attempts in the United States, Howe couldn’t get the machine to take off, so headed to England to further develop the machine towards corset makers. When Howe returned to the US sewing machines were being sold for various different manufacturers using ideas from her 1846 patent. Issac M Singer is a name that many of us will find familiar. Since 1860 Singer is one of the worlds largest and most well known sewing machine manufacturers. Singer patented the very first rigid arm sewing machine. Prior to this design, all sewing machines were designed with an overhanging arm. The needle would be held by the hanging arm and moved with it. Singers design also included a support table which supported the material being sewed and a vertical presser foot which held the cloth down against the upward movement of the needle. The presser foot and vertical needle holding bar was held in the correct position by a fixed arm. Where Singers design was a real improvement on any of the machines available was the foot treadle table in place of the more traditional hand crank. The design of Singers machine was based on earlier work of Howes, which Howe later sued Singer for. An agreement was arranged for Singer to pay royalties to Howe for the patent infringement. Around the late 1870’s patents on the early sewing machines started to expire, this meant that the fundamental key features of the sewing machine where no longer owned by anyone. This opened the door to new manufacturers who took advantage and started developing their own machines. The early 20th century was an interesting time for sewing machine manufacturing. Development of new technical features slowed right down, however, the way that machines were sold, marketed and obtained were very different. Mail order houses were all the rage and Sears Roebuck and Montgomery took advantage of this. Machines were readily available in catalogs and could be purchased for as little as $10 in 1902. The earliest versions of a portable sewing machine were introduced in the early 1920’s. These machines were nothing like the portable machines we know and love today. The machines were heavy, expensive and fairly hard to actually move around anywhere. This style of machine did not really take off until later in the 1930’s. Nowadays the portable sewing machine is something that early every seamstress needs to have in her arsenal of machines! The depression and the crash in 1929 was an important time in sewing machine industries history. There was not a lot of money to go around so housewives around the country demanded more out of their machines at a lower, affordable price. This point in time is when we see the first more portable, lightweight electric machine design that we are familiar with today. This dramatically helped popularize sewing and the sales of sewing machines were on the rise again, housewives countrywide were sewing everything from children’s school clothes to Sunday church clothes. During the second world war production of the sewing machine ground to a halt. This is because the skilled workers who produced the machines were utilized to create machinery for war. The 70’s & 80s saw a huge rise in automatic sewing machine production. The home sewing machine gave the home seamstress limitless options to create from home. This continued into the 2000’s.